A famous Pot Still Whiskey with an intense coconut flavour, coated with a light taste of grains. In Ireland, whiskey taxes used to be based over the amount of malted barley used to produce the spirit. As Irishmen avoided taxes, non malted barley and malted barley were mixed to obtain Pot Still Whiskey. This is the true tradition of the land where the vine does not grow. This Pot Still release is a combination of Pure Pot Still and Irish Single Malt, with proportions kept secret. It is more round and sweet, and suits perfectly the modern palate. Today, Writers Tears ages in American Bourbon barrels, like many other renowned Scotch Single Malts. We may find an intense and luscious coconut aroma to it, over a cereal backdrop that comes from its special composition. Writers Tears is evocative of the secret inspiration poets used to draw from Pot Still Whiskeys. These spirits were highly sought after by Irish writers in the 19th and 20th centuries. The Writers Tears company is owned by the Walsh family (Bernard & Rosemary Walsh), and is nestled at the heart of the Irish country, in County Carlow. The unique objective of the society is to produce premium Irish whiskey and revive some of the great recipes of traditional whisky. 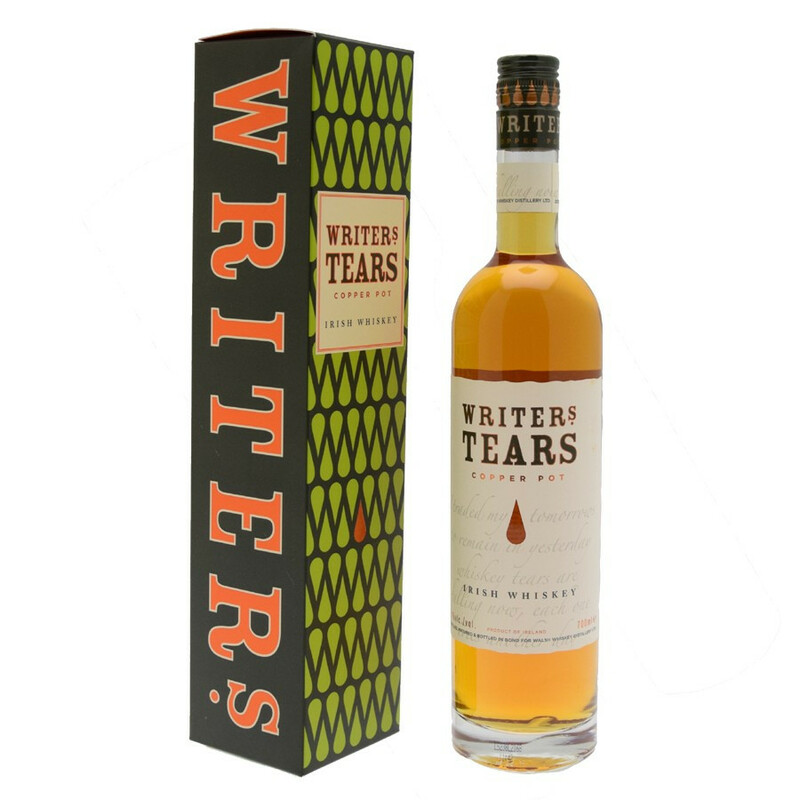 Writers Tears is the first of a new range of exceptional whiskies, as the company has always been striving to craft the best quality whiskey and hopefully to leave its mark in the world of whiskeys. Nose: a Pot Still whiskey with a lot of character. Unlike the fruity nose of Irish whiskeys, it develops a distinctive nose of honeyed kumquat and citrus. Palate: well balanced, the tasting mingles sweet and strong notes of honeyed acacia, with vanilla and a structured maltiness. 93 Points in Jim Murray's Whisky Bible 2010.